Notes: I received this book as an ARC from the Goodreads First Reads program. 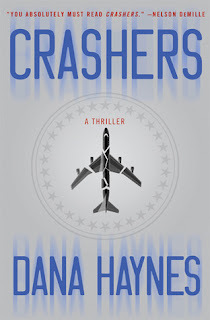 My thoughts: If you like TV shows like NCIS:LA or fast-paced action movies, you'll be hard-pressed not to like this book. 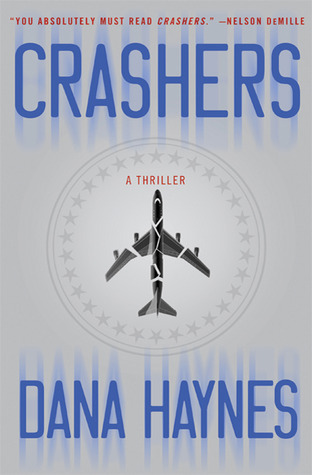 The plot is interesting—what happens during a major plane crash, and how does the NTSB investigate the cause of a crash?—and the shifting perspectives between the bad guys, the good guys, and the questionable guys keeps the book moving forward. Add in the layer of a possible second attack, and you have a great plot. All of that being said, I think the plot is worth reading, and it sounds like Haynes did a healthy amount of background research while writing this book. Just try not to get as distracted by the characters as I did! that sounds really interesting! It almost sounds like it would have been better done focused on a real case, rather than inventing characters though. I might have to check it out. Sounds like an interesting premise! I don't particularly like NCIS: LA, but I LOVE the original NCIS. I think I might have actually enterted to win this book through First Reads. It sounds familiar. The book seems like it's an attention grabber! Was it confusing with the different narrations? I like NCIS: LA...I love Callen and Hetty! Thanks for the comments! Yeah, it was a pretty interesting read. The different narrations weren't confusing at all, though the characters (and their personalities) were just so trite sometimes. Zara, I also love the original NCIS (and don't mind NCIS:LA). I definitely think this book is more like the latter, though, because it's a bit more action-oriented than forensics-oriented/strategy-oriented.